The total number of individuals of a taxon. Relative abundance is the total number of individuals of one taxon compared with the total number of individuals of all other taxa in an area, volume, or community. 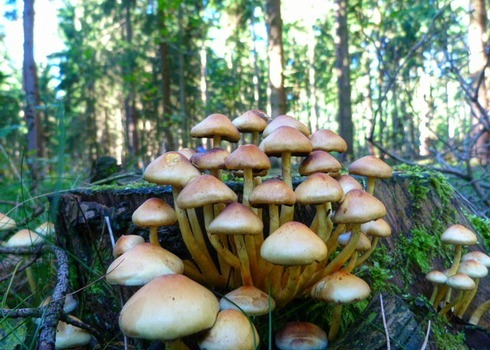 Temperate forests can have a high abundance of fungi (order: Agaricales).